Our talented member, Coco Rose Design, helped to make this wedding a night to remember. The occasion was recently featured on Style Me Pretty and we thought it was too beautiful not to share! 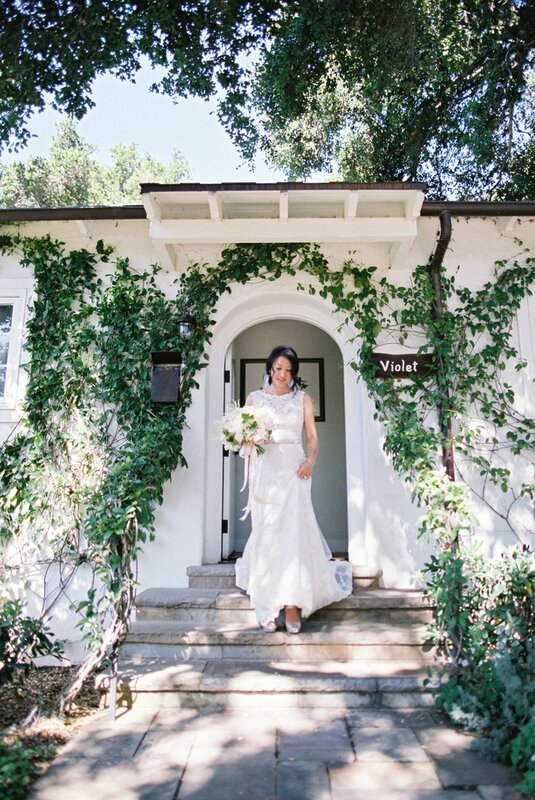 The first time I saw pictures of a wedding at San Ysidro Ranch in Montecito, I instantly knew it's where I wanted to get married one day. 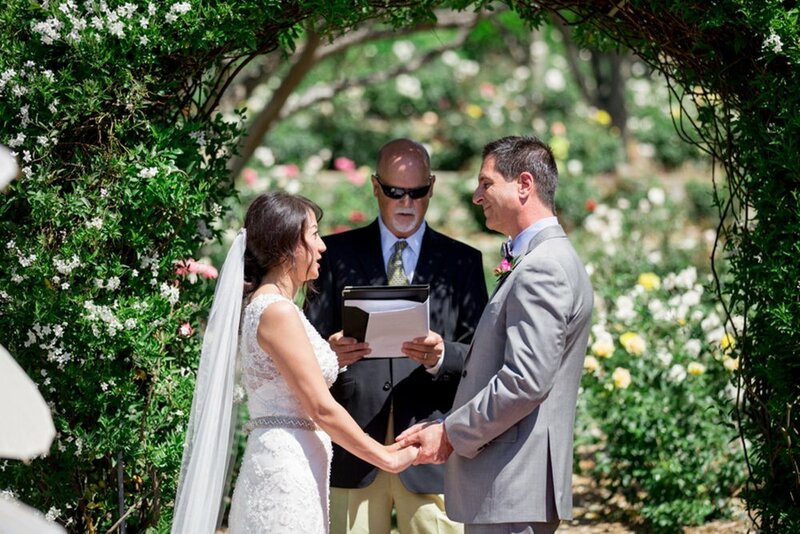 And this wedding from Michael + Anna Costa Photo reminds me why. 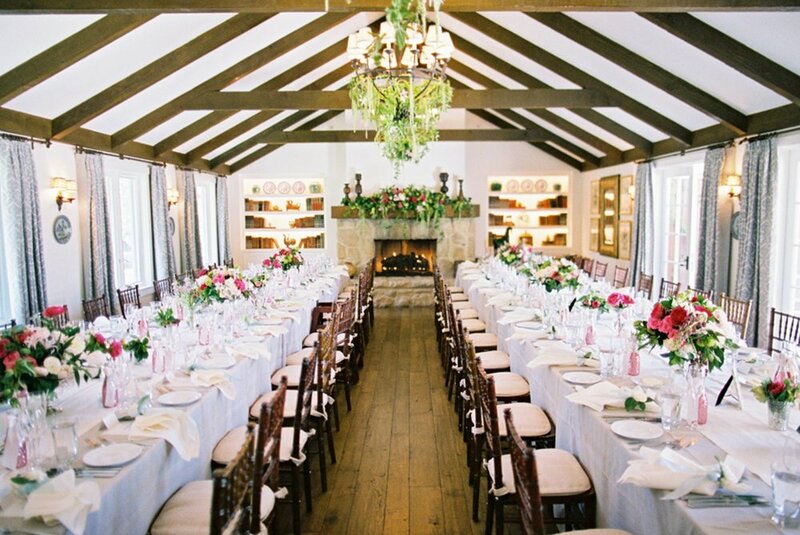 With a talented team of vendors including Twine Events, Found Vintage Rentals and La Tavola, the ranch becomes a magical setting for any couple to say, "I do." There were so many special moments on our wedding day that it is difficult to pick out one thing that stands out so I will share a few. When my photographer told me about the “first look” moment, I was a little hesitant about it because I didn’t want Paul to see me before the ceremony. But once we realized how romantic it was going to be, we decided to do it. Truly, I was so happy we did the first look. The first moment we see each other as bride and groom with no one there to distract us from the emotions we were feeling. It was truly special. When Paul asked me to marry him, he proposed with his late mother’s ring. I took the original setting and melted it down to make his wedding band. When we exchanged rings, we knew that each of us would have a part of her as a symbol of our vows. That was truly special. Once we got engaged, we decided to try to conceive asap. After much heartache and tears...we were finally blessed with wonderful news. We decided to keep it a secret until the wedding. My maid of honor had this great idea to make the announcement by putting a picture of infant shoes on a card facing inward on pink glitter baby champagne bottles that would be used as wedding favors. We would make the announcement at the reception by asking everyone to turn the card around. Well....before we made our grand entrance into the reception room, a friend came to us and told us that the cat was out of the bag. So when we finally made our grand entrance, everyone was screaming and shouting with joy for the wonderful news. That was truly special. Having all of our close family and friends be a part of our wedding day...truly special beyond words.